Friday's have become a busy day for Zika news and research paper releases, and yesterday was no certainly no exception. At the top of the list was a study from researchers at UCLA & Fiocruz which looked at a small group of pregnant women from Rio de Janeiro who were infected with the Zika virus during their pregnancy. While the number of pregnancies studied was small, the percentage of fetal abnormalities was much higher than expected, and the effects appear to have occurred across all three trimesters of pregnancy. Worrisome also, the spectrum of congenital birth defects among these fetuses extended beyond microcephaly, an outcome that has been quietly discussed for several weeks but for which little data has been available (see BMJ Zika virus may be linked to several birth defects, expert warns and Zika Might Cause Worse Birth Defects Than Feared by Maggie Fox). While not proof of causation, this adds to the growing body of evidence suggesting a link between the Zika virus and increased fetal abnormalities. First a news release from UCLA, then a link and some excerpts from the NEJM abstract, and then a link to CIDRAP's coverage. Nielsen referred to this link as Zika Virus Congenital Syndrome. Patrícia Brasil, M.D., Jose P. Pereira, Jr., M.D., Claudia Raja Gabaglia, M.D., Luana Damasceno, M.S., Mayumi Wakimoto, Ph.D., Rita M. Ribeiro Nogueira, M.D., Patrícia Carvalho de Sequeira, Ph.D., André Machado Siqueira, M.D., Liege M. Abreu de Carvalho, M.D., Denise Cotrim da Cunha, M.D., Guilherme A. Calvet, M.D., Elizabeth S. Neves, M.D., Maria E. Moreira, M.D., Ana E. Rodrigues Baião, M.D., Paulo R. Nassar de Carvalho, M.D., Carla Janzen, M.D., Stephanie G. Valderramos, M.D., James D. Cherry, M.D., Ana M. Bispo de Filippis, Ph.D., and Karin Nielsen-Saines, M.D. Zika virus (ZIKV) has been linked to neonatal microcephaly. To characterize the spectrum of ZIKV disease in pregnancy, we followed patients in Rio de Janeiro to describe clinical manifestations in mothers and repercussions of acute ZIKV infection in fetuses. 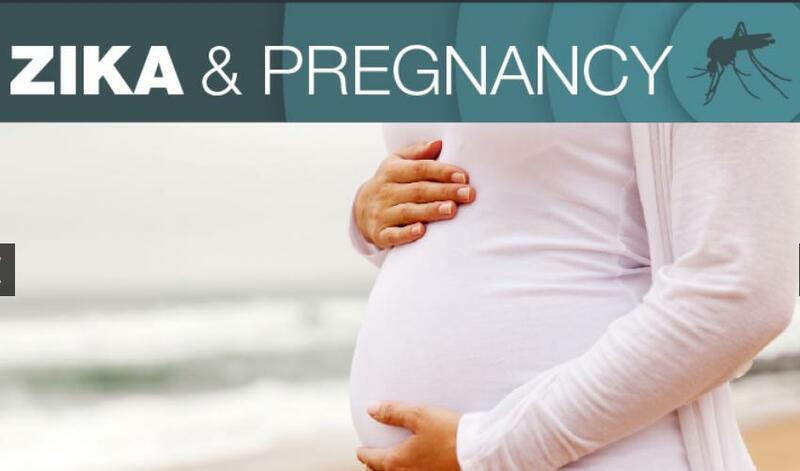 We enrolled pregnant women in whom a rash had developed within the previous 5 days and tested blood and urine specimens for ZIKV by reverse-transcriptase–polymerase-chain-reaction assays. We followed the women prospectively and collected clinical and ultrasonographic data. A total of 88 women were enrolled from September 2015 through February 2016; of these 88 women, 72 (82%) tested positive for ZIKV in blood, urine, or both. The timing of acute ZIKV infection ranged from 5 to 38 weeks of gestation. Predominant clinical features included pruritic descending macular or maculopapular rash, arthralgias, conjunctival injection, and headache; 28% had fever (short-term and low-grade). Women who were positive for ZIKV were more likely than those who were negative for the virus to have maculopapular rash (44% vs. 12%, P=0.02), conjunctival involvement (58% vs. 13%, P=0.002), and lymphadenopathy (40% vs. 7%, P=0.02). Fetal ultrasonography was performed in 42 ZIKV-positive women (58%) and in all ZIKV-negative women. Fetal abnormalities were detected by Doppler ultrasonography in 12 of the 42 ZIKV-positive women (29%) and in none of the 16 ZIKV-negative women. Adverse findings included fetal deaths at 36 and 38 weeks of gestation (2 fetuses), in utero growth restriction with or without microcephaly (5 fetuses), ventricular calcifications or other central nervous system (CNS) lesions (7 fetuses), and abnormal amniotic fluid volume or cerebral or umbilical artery flow (7 fetuses). To date, 8 of the 42 women in whom fetal ultrasonography was performed have delivered their babies, and the ultrasonographic findings have been confirmed. Despite mild clinical symptoms, ZIKV infection during pregnancy appears to be associated with grave outcomes, including fetal death, placental insufficiency, fetal growth restriction, and CNS injury. You'll find additional coverage of this story, and the reported Zika infection of Cortical cells, from Lisa Schnirring at CIDRAP News. New research found 29% of women with Zika have babies with abnormalities as well as evidence that cortical cells in the fetus could be disrupted by the virus.